In the Camp you’ll also find approachable, inspiring people involved with housing, energy, land, media and workers’ co-operatives… all happy to share their knowledge and experiences. 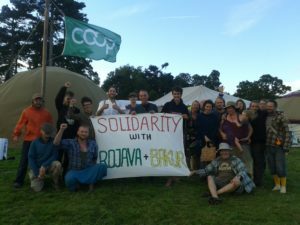 There’s workshops in how to set up a successful co-op; discussions about how to organise for radical social change; examples from the international co-op movement; exhibition and chill-out space; and networking events for co-operators (with free food! ).